At IBC 2018 Teradek presented the new VidiU Go Live Streaming Box and the Teradek RT Lens Control System as well as accessories especially for RED cameras: the Teradek Bolt DSMC2 Video Transmitter and the Teradek RT Assistant Camera Interface (ACI). 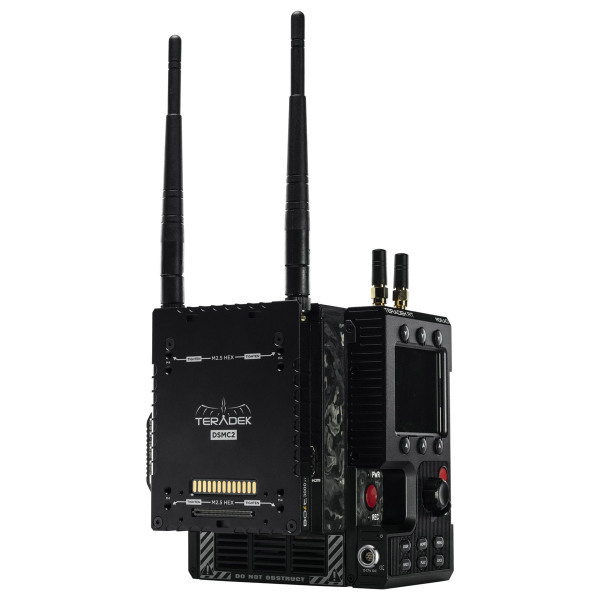 In close cooperation with RED, Teradek has developed the Bolt DSMC2 Transmitter, which can be seamlessly attached to RED DSMC2 cameras and wirelessly transmits the camera images via 5 GHZ band to monitor the recording almost without delay. There will be three models with different ranges (500/1,000 and 3,000ft, i.e. 152/304 and 914 meters) which will work seamlessly with the other devices from the Teradeks Bolt series such as the receivers. The three models are expected to be launched in autumn and will cost 1,700, 2,900 and 5,700 dollars respectively. 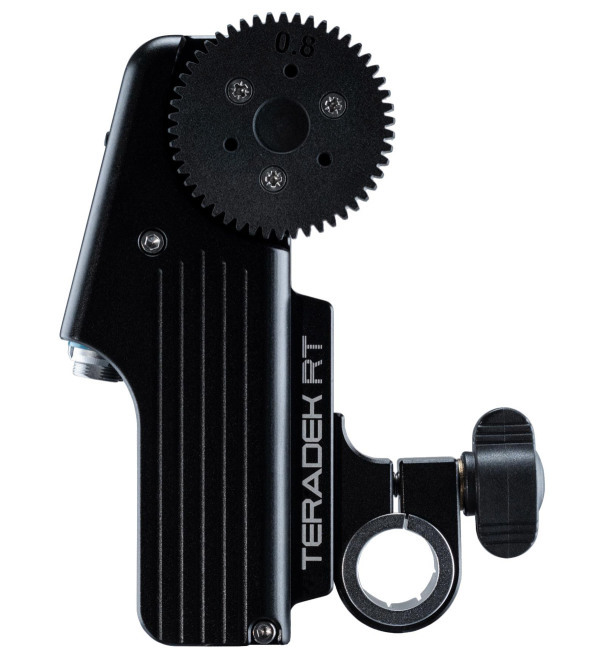 The Teradek RT Assistant Camera Interface is a module for RED&s DSMC2 system that attaches to the side of the camera and, according to Teradek, provides an intuitive interface for operating the camera including push buttons and jog wheel. The ACI will be available as a standalone module, as a remote control unit (RF.ACI) and as an integrated system with a 3-channel Teradek RT Wireless Lens Control Receiver (MDR.ACI) - the latter two with a range of up to approximately 1,500 meters. The price for the Teradek Assistant Camera Interface starts at around 900 dollars. 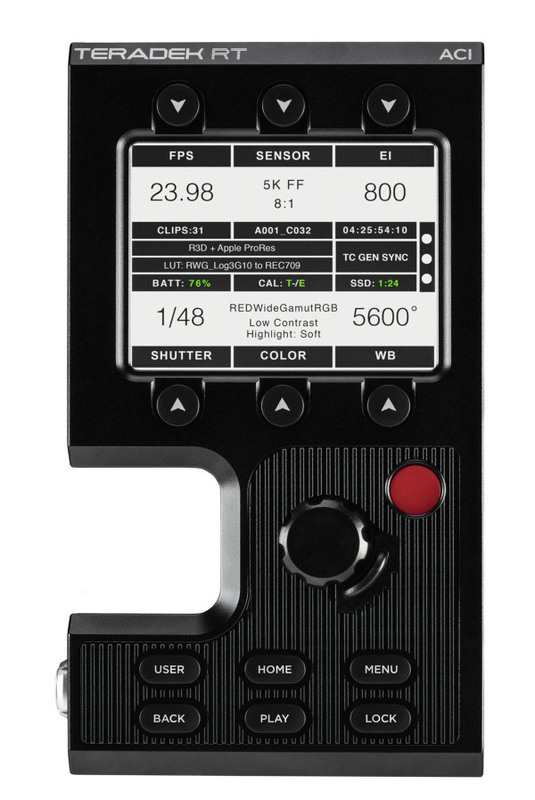 The latest additions to Teradek&s RT Lens Control System are the CTRL.1 controller and the MOTR.X engine. The CTRL.1 will cost around 1,500, the MOTR.X is expected to cost around ,500. 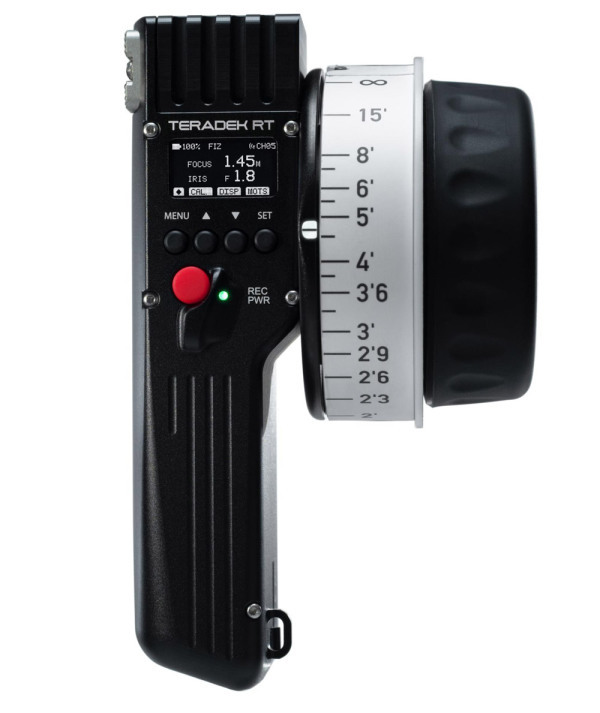 The CTRL.1 handheld is a single-axis radio controller that saves time by re-calibrating the lens when changing lenses thanks to its integrated lens mapping and storage. In conjunction with compatible SmallHD monitors with integrated bolt receivers, the CTRL.1 can display the current lens focal length directly on the monitor. The MOTR.X works fast and should be completely silent. The motor has an easily detachable mounting and a fast, tool-free gear change mechanism. Practically, several motors can now share data and power over a new series-connected cable via the new motor ports to prevent cable clutter.